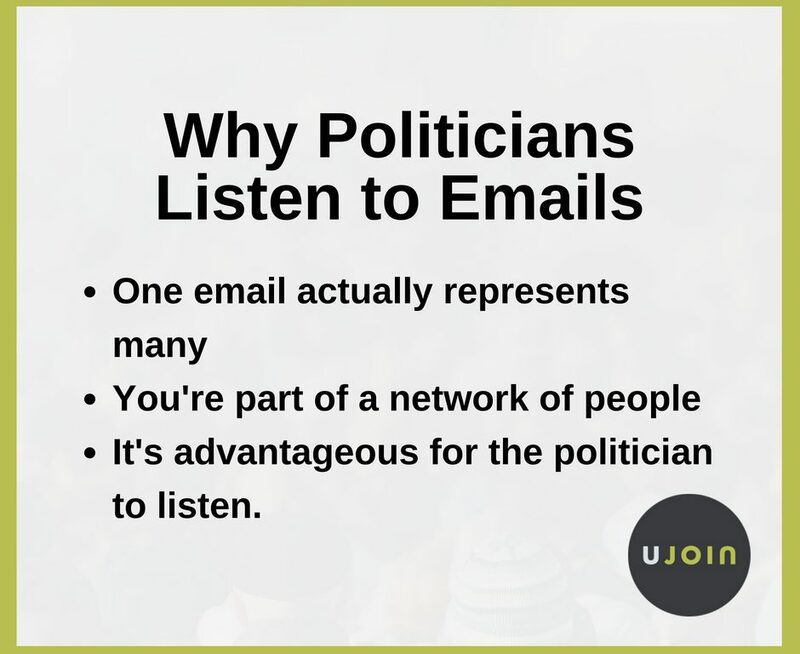 Here’s an insider secret: Politicians have a built-in equation — when one person cares enough about an issue to send an email about it, that means there are at least 100 other people who feel the same way. If 50 people send emails, that represents 5,000 people. Politicians are keenly aware of this. Typically, someone clicks on a “take action” link, goes to a page and sends a pre-drafted email — maybe with a personal note added. These emails work. If an organization sends you an email asking you to “take action”, they can just as easily send you another email saying “Politician Doe did not vote the way we wanted.” Legislators can be held accountable in this way, and they’re keenly aware of it. What if you were a legislator representing a district, and what if you decided to ignore all emails that came in from people living in your district? How long do you think you would last? Again, legislators are keenly aware that they need to have a “beat” on what issues are trending in their jurisdictions and to be responding to those issues. The next time you are asked to email, tweet, or call a legislator and you doubt whether it will work or not, think again. Ujoin helps you create your own branded action pages to send unique messages to decision-makers. Bulid your online community, track legislation, and send emails to legislators and decision-makers.